Jewellery is every girl’s best friend especially on your special day. 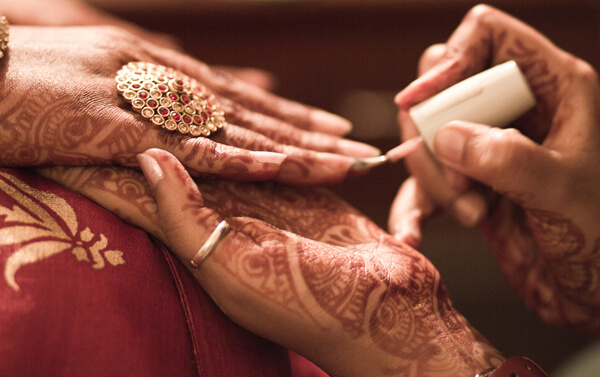 An Indian bride is accessorized with elegance and pride. She is almost like a goddess in her draped attire and splendid jewellery that compliment her and make her look even more special on her special day. There are some pieces of Indian jewellery that you will definitely want to add to your jewellery list as it spells tradition and adds to the look no matter how modern you are you can carry off these jewellery like a queen and make heads turn. It is a piece of jewellery for your forehead. It comes in many styles like an oversized one or a traditional heavy mang tikka or you can choose a small delicate one if you have small forehead. There are also mang tikkas with a modern twist that can be worn for sangeet and other functions. 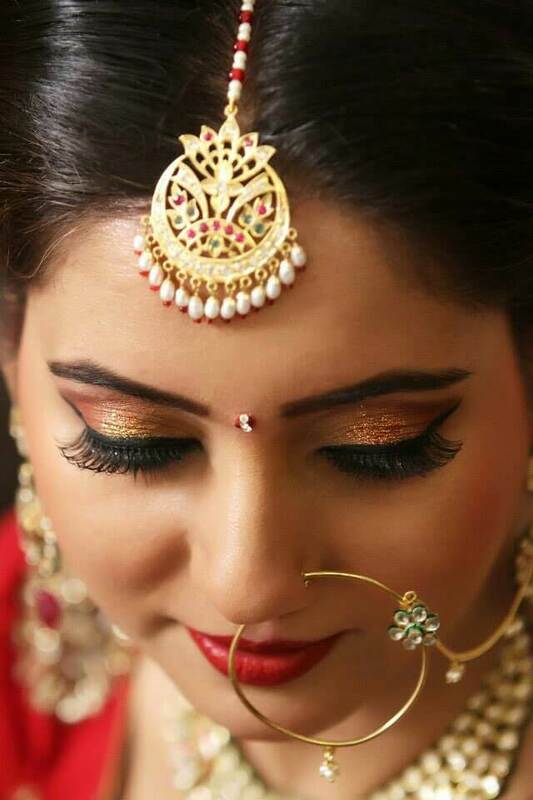 Nose piercing is an ancient tradition of India and earlier generations considered it a must for a girl to have her nose pierced but today it is more of an individual’s choice. Today nose rings can be worn without piercing and it comes in various, sizes and patterns. You can opt for big rings with chain attached to the ear or for a stud. Nose rings make you look regal and elegant. You can make a style statement with your watch. Go for a watch with bling on it. 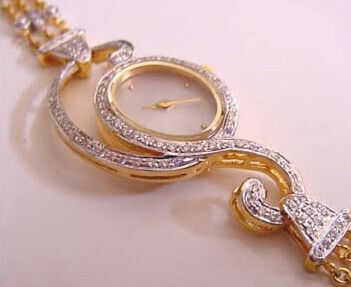 It can be a diamond studded watch or a watch that is from signature collection. It will be unique and will make your day more special. It will also be a piece of jewellery that you can use on a daily basis. Ear rings is a major piece of jewellery that everyone pays a lot of attention to. 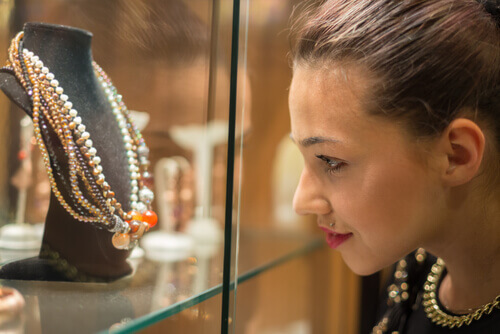 In earlier times it was a piece of jewellery that establishes a woman’s wealth and status. You can choose from different metals and designs. 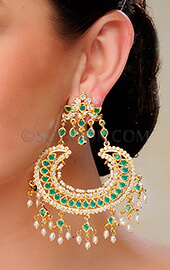 You can opt for huge statement ear rings or small ones that look delicate. You can also make your earring more unique by getting a personalised earring designed at sites like augrav.com. This piece of jewellery highlights your neck and compliments the neckline of your dress. So choose your necklace based on that. If you are wearing a low neckline a chunky neck piece will stand out or you can wear a choker king which makes the neck look longer. You can also opt for single line of diamonds or pearls and add simple chains below it. 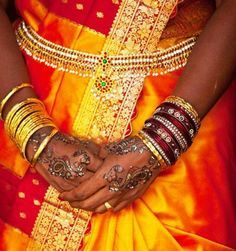 This is a traditional piece of jewellery that is worn on the hand. It gives an elegant touch to the back of your hand and comes with a ring attached to it and ends at the wrist. It is a big rage among Indian celebrities as well as international. It makes you look stylish, trendy and gives an ethnic touch. It goes to show that you are in sync with the fashion world and know how to carry it off with elan. These are statement rings that stand out and shows your personality.This makes your fingers look dainty and also gives a modern as well as ethnic touch to your outfit. 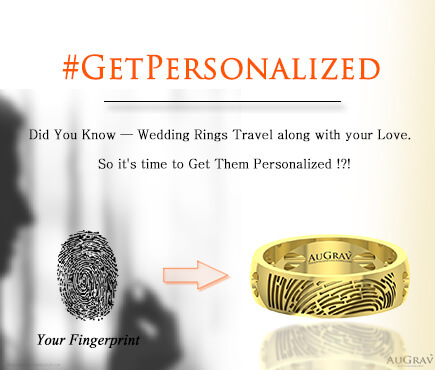 Try getting your face portrait etched on your cocktail ring at augrav.com and it will be a piece of jewellery that will make a statement every time you wear it and it will definitlely be one of a kind. 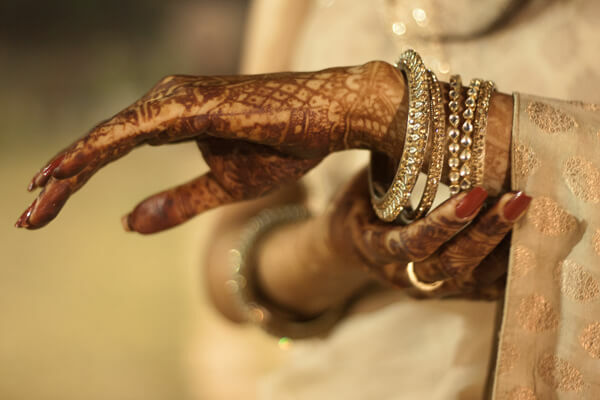 A bride usually dons herself with two or three broad bangles or dozens of small size bangles. it is considered auspicious in some Indian traditions. It adds elegance to the outfit. You can also pair different kinds of bangles. This traditional ornament highlights the waist and has come in vogue now. It has also come with modern twist and can be worn with lehengas or sarees. It gives more shape to your body and highlights your figure. This is a piece of jewellery that has history behind it. Today people wear even single anklets and the anklet can have charms or traditional designs. The traditional anklet gives a regal touch. This is worn by traditional married women. Today it comes in different metals, sizes and patterns. It is worn after the wedding. In some traditions it is worn as a style statement. This piece of jewellery when teamed with short sleeves highlights your arms and gives it a slender look. It can be elegant or simple or grand and decorative according to the bride’s choice. Assemble your jewellery and be the queen on your wedding day. 13 Indian Wedding Jewelries You Should Not Miss Out For Your Wedding Overall rating: 4.7 out of 5 based on 235 reviews.